A good blogger engagement must necessarily be founded on some basic hostility with/against the host (be it the PM or the CEO of a PLC). Last night's session was loud and sometimes harsh but the 12 bloggers came away from the dinner with more useful insights - and respect - for those two men from Najib Razak's Cabinet. For me, I can now confirm the rumours that some of us have been hearing: that our nation had had to import energy recently. Alarming. Malaysia's current energy reserves are coming down fast and they could be decimated by as early as 2017. Alarming. Read the Bernama report Urgent need to replace ageing plans citing none other than CIMB Reseach, owned by Nazir Razak's CIMB Bank. Alarming. 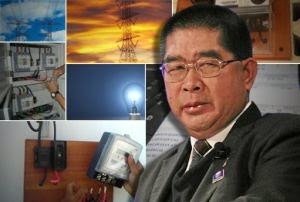 Malaysians don't want blackouts and we certainly don't want to be thrown back to the dark ages. Politics aside, Malaysians want to live in peace and security. But if we have had to import energy for the first time in our history (I heard it happened three times so far this year), we should be really concerned. 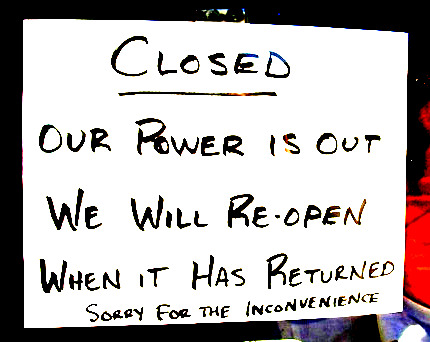 Has our energy security may been compromised? What does our national energy policy say? Do we have one? The Energy Minister must address this national security issue immediately. Dang Rocky...you beat me to it! Yes malaysia is facing a serious u powerful blackout , resulting in serious water and food shortage- due to uncontrolled over development concentrated in one area. What happened to our much ballyhooed IPPs? Another short-term feel-good measure that has outlived it's usefulness and relevance? Is the fact that TNB had to buy electricity on an emergency basis from a Singapore genco some time back a harbinger of things to come? We have to diversify our own genco fuel sources from coal and natural gas to LNG and sustainable sources. And take the matter of power and water security instead of being complacent. Will those opposing mega ptoject bakun now admit they are wrong?